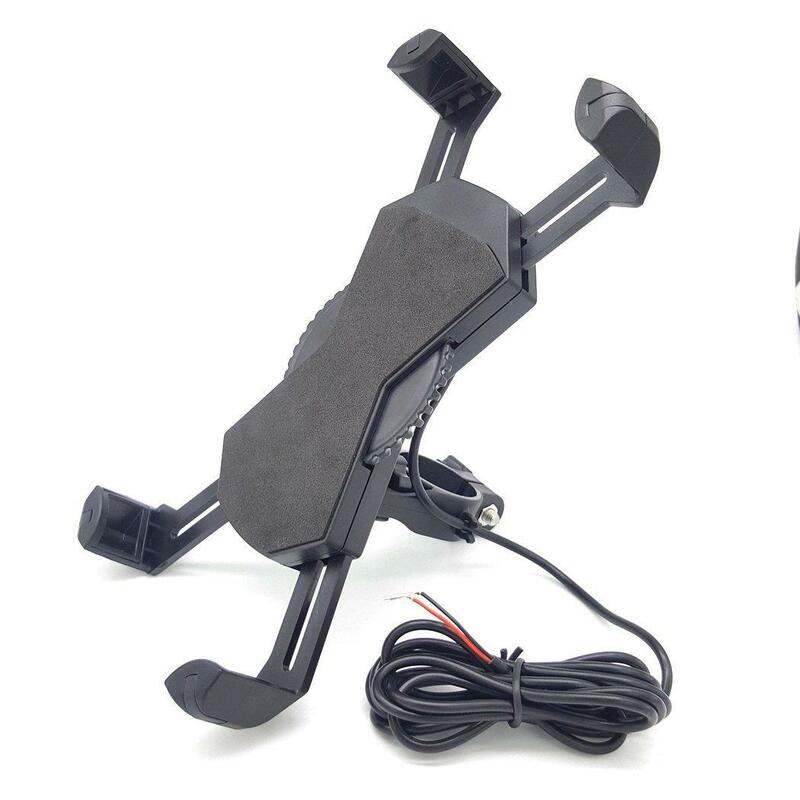 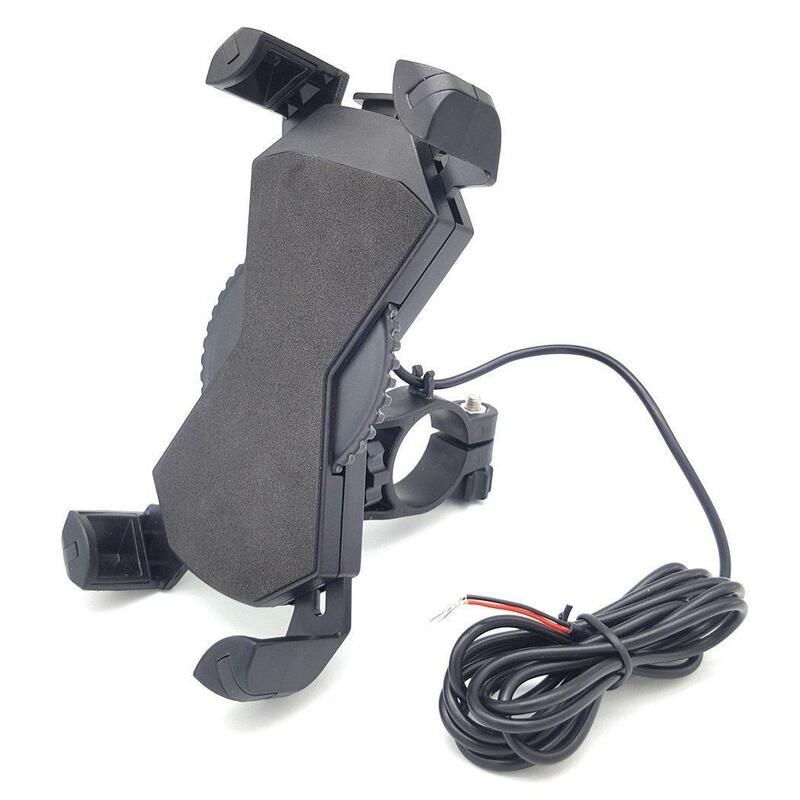 This motorcycle phone charger holder works with 12V to 85V motorcycles. 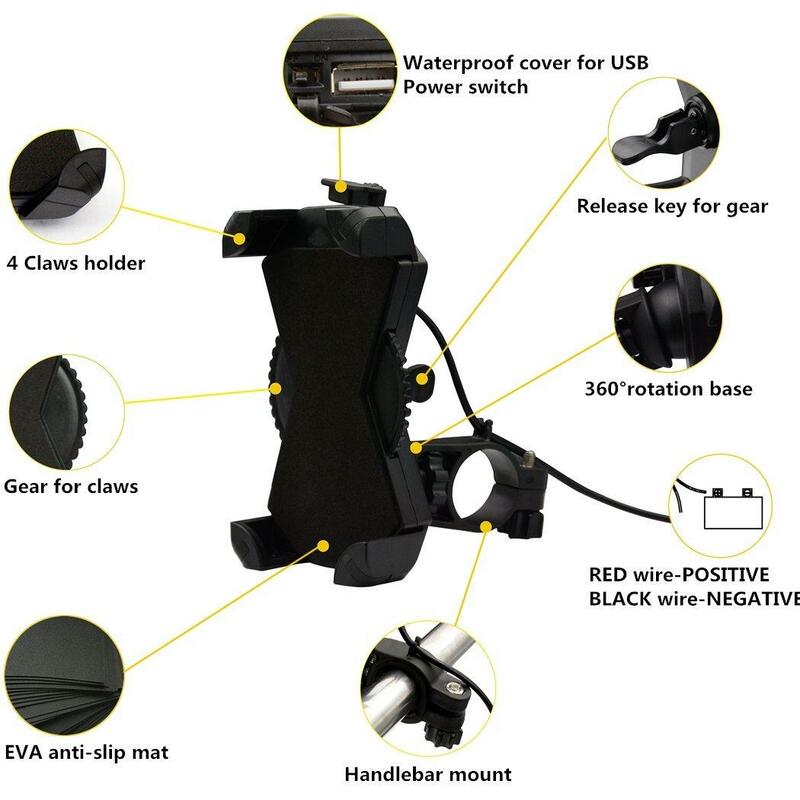 Please confirm it before buying! 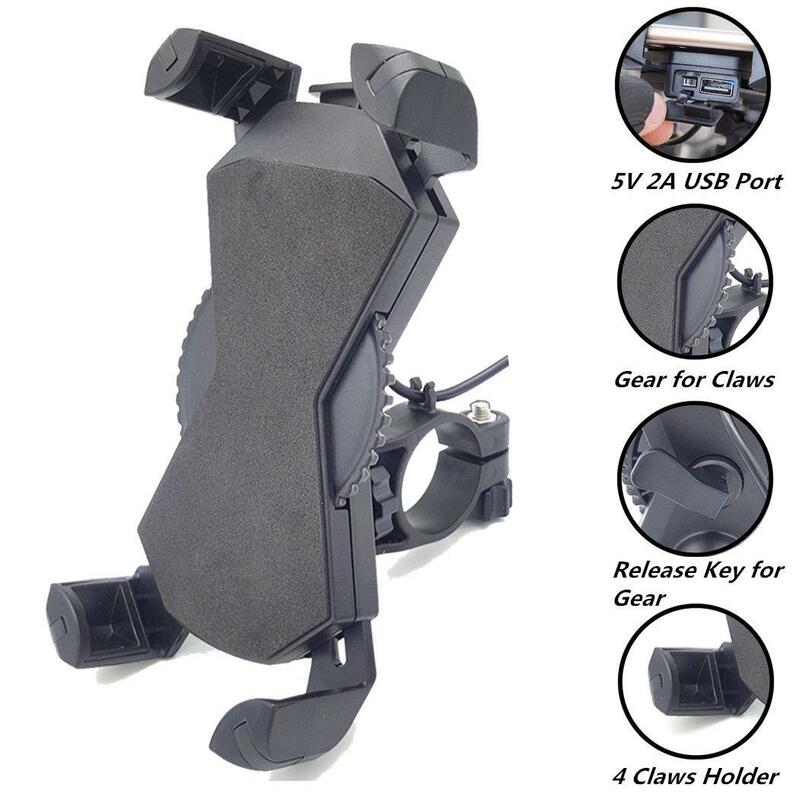 Motorcycle Phone Charger & Holder is a great companion for your journey. 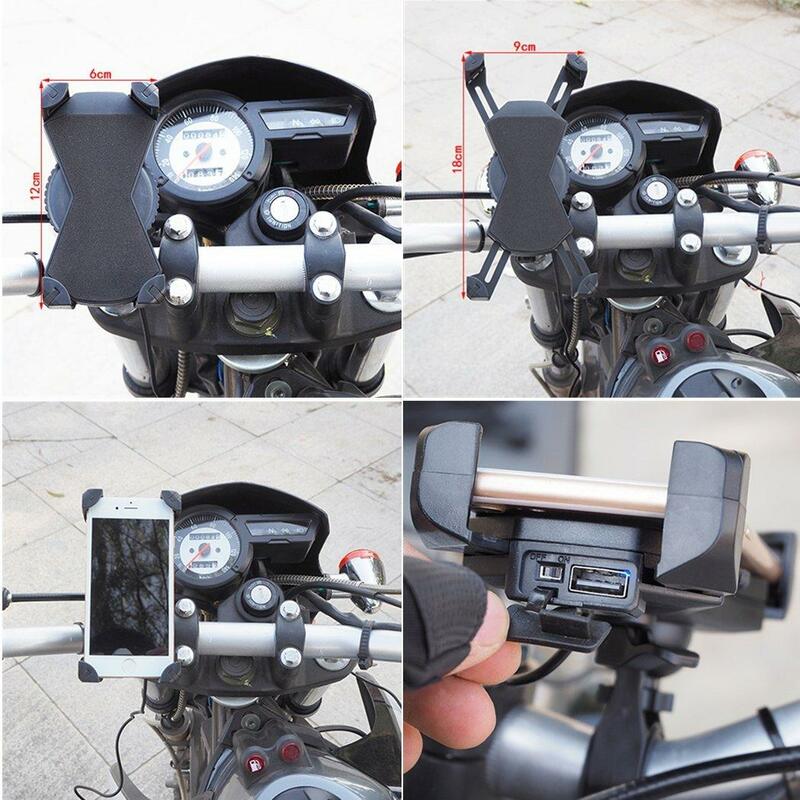 Easy to install and securely charge your smartphone on the handlebar of your motorcycle with a 0.6" to 1.4" diameter handlebar. 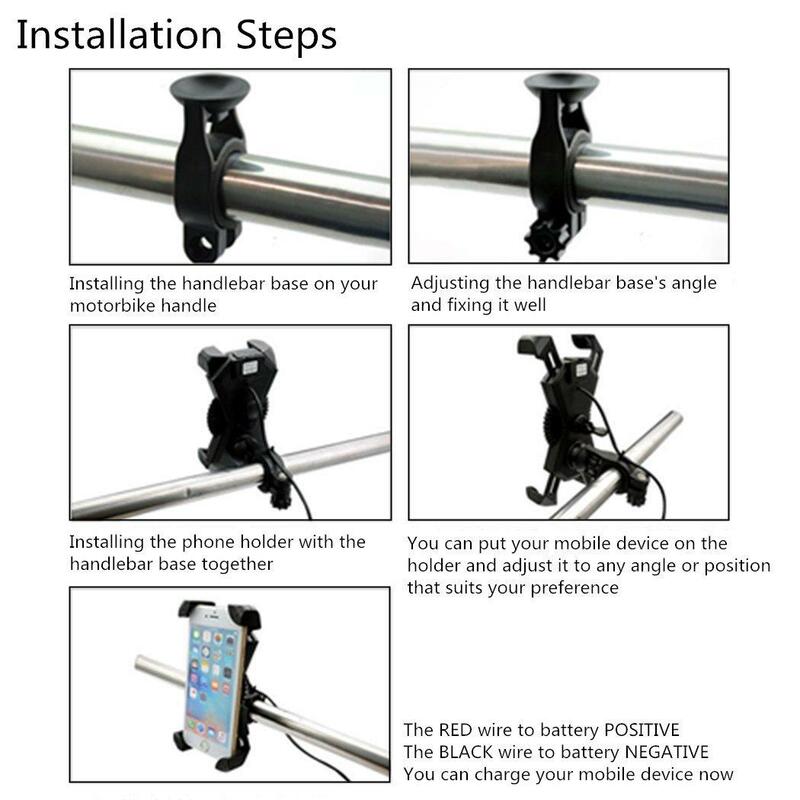 - Handlebar Fixed Base for motorcycle handlebar mount, prevent your device from dropping. 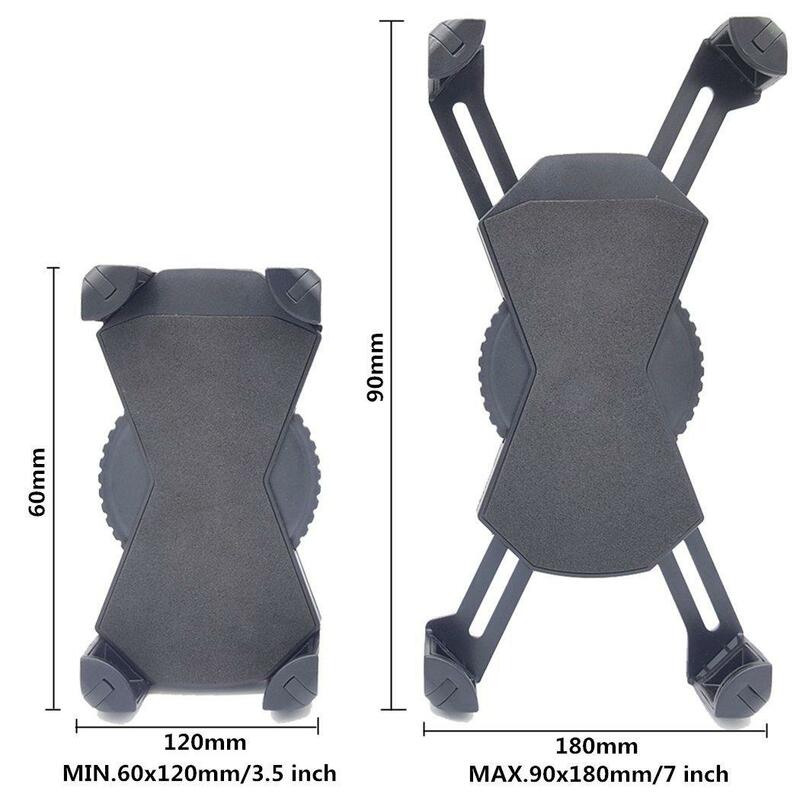 - Compatible with 3.5" to 7" mobile devices,such as for iPhone 8X/7/6+/6s/5s/5c/4s, Galaxy S6/s5/s4/s3/s2, Note 5/4/3/2 HTC One & Other Smartphone. 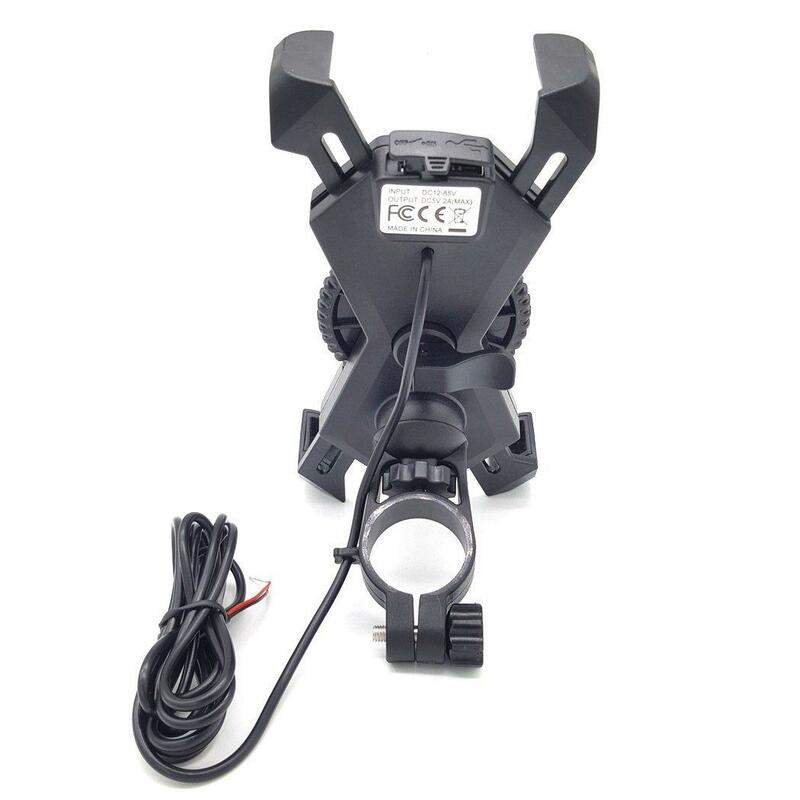 - Fit for motorcycle handlebar mount 0.6" to 1.4" diameter.